More than thirty million people in the U.S. suffer from migraine headaches. That means that there is a migraine sufferer in twenty five percent of households, according to the National Institute of Neurological Disorders. Three-quarters of the nearly 30 million Americans who suffer from migraines are women. The reason may have to do with a woman’s menstrual cycle, but triggers can also include alcohol, weather changes, stress, food and lack of sleep. In the simplest terms, migraines are caused by the brain’s blood vessels enlarging and stimulating nerve endings. In recent years there has been a growing interest and demand from the public for “natural” treatments such as vitamins and supplements in trying to control migraine headaches. Here are seven surprising natural cures for migraines that help prevent and reduce the frequency and severity of migraine attacks. Derived from the leaves of the plant, feverfew is used primarily to treat migraine headaches. The plant’s active ingredient, parthenolide, inhibits the chemicals in the brain that cause the blood vessels to dilate. Bruno (A nutritionist in New York City) suggests 500 to 600 mg of standardized feverfew daily to treat or prevent migraines. Take two equal portions of feverfew on an empty stomach in the morning and evening. When taken daily, feverfew can prevent migraines. The results can take four to six weeks. But if you stop taking it, your migraines might return. Adult human bodies contain about 24 grams of magnesium. Magnesium plays a vital role in multiple physiologic processes and therefore it is a vital component in a healthy diet. Because our bodies can’t make magnesium, we must rely on dietary and/or supplement sources to get it — and magnesium deficiency been directly linked to migraines in a number of major studies. One small study found daily magnesium supplements reduced migraine frequency by nearly 42 percent, compared to only about 16 percent in people given a placebo pill. Experts are split on how much magnesium to take for migraine prevention; some recommend 200 to 600 mg per day, while others recommend as much as 1,000 mg daily. Talk to your doctor to find a regimen that works best for you. Best food sources: spices, nuts, cereals, coffee, cocoa, tea, and vegetables. Riboflavin, also known as vitamin B2, is found in certain foods and supplements. In doses of 400 milligrams a day, vitamin B2 can also act as a preventative for migraines. Lean meats, eggs, legumes, nuts, green leafy vegetables, dairy products, and milk provide riboflavin in the diet. Breads and cereals are often fortified with riboflavin. A dose of these healthy fats can fight inflammation, which is a likely culprit in many headaches and possibly some migraines. Take: 4,000 to 6,000 mg of fish oil daily with meals for best absorption. After eight to 12 weeks (if the migraines have stabilized), you can adjust the dose to 1,000 mg per day. There are so many other benefits of omega 3s, even if it doesn’t help your headaches, there’s no reason not to try it. 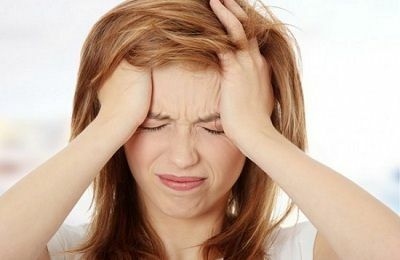 Great article and tips for natural remedies for migraines,I’ve tried to take Omega-3s few weeks before,seems like it did work for me atm. keep the good stuff coming btw.